6511 County Road 708 . BEAUTIFUL 3+/- ACRES. COUNTRY FEELING WITHIN MINUTES FROM TOWN. 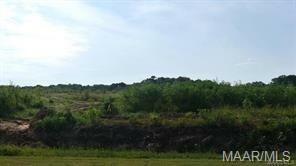 LAST 3 ACRE LOT AVAILABLE FOR THIS DEVELOPMENT. SITE BUILT HOMES ONLY WITH A MINIMUM OF HEATED AND COOLED 1800 SQ FT. LISTING AGENT IS A RELATIVE OF SELLER. Listing provided courtesy of Caitlyn B Catrett of Coldwell Banker Prestige Homes And Real Estate. © 2019 Montgomery Area Association of Realtors, Inc. All rights reserved. IDX information is provided exclusively for consumers' personal, non-commercial use and may not be used for any purpose other than to identify prospective properties consumers may be interested in purchasing. Information is deemed reliable but is not guaranteed accurate by the MLS or Team Linda Simmons Real Estate. Data last updated: 2019-04-19T12:20:36.757. Team Linda Simmons Real Estate is Fort Rucker's most innovative real estate team. © 2019 Dothan Multiple Listing Service, Inc. All rights reserved. IDX information is provided exclusively for consumers' personal, non-commercial use and may not be used for any purpose other than to identify prospective properties consumers may be interested in purchasing. Information is deemed reliable but is not guaranteed accurate by the MLS or Team Linda Simmons Real Estate. Data last updated: 2019-04-19T11:53:33.687.